Hezbollah's propagandists will not relent in the ongoing war against American national security. The Iranian regime has attempted to strike U.S. targets more than once, including the highly-publicized assassination attempts in Washington D.C. and in Baku, Azerbaijan. Iran, through its proxy Hezbollah, is engaged in a global fear and intimidation campaign against U.S. public officials and private citizens in the United States, Middle East, and elsewhere around the world. 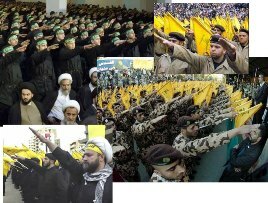 Hezbollah uses media propaganda and targets those who are steadfast in their efforts to counter the Ayatollah’s threats. Hezbollah’s most recent propaganda campaign came from Beirut’s Hezbollah-funded daily newspaper Al-Akhbar, which recently launched in English, hiring Western sources as well. In a recent article flashed as "sensational," Yazan al-Saadi wrote that a U.S. mercenary who helped to bring down Gaddafi is now seeking to assist the Syrian opposition. It is evident from the article’s title that al-Saadi is backing dictators in the region, and in particular, the Syrian regime. No wonder al-Akhbar, as Lebanese opposition sources assert, is funded by the Iranian regime and controlled by Hezbollah. According to the U.S. Government, Iran and Hezbollah are backing their strategic ally, the Assad regime. Accordingly, it is the "task" of pro-Iranian media puppets to protect the Syrian regime and attack those who are promoting sanctions or regime change, such as the Syrian opposition, and friends of a free Syria around the world. In the Arabic version of al-Akhbar, the attacks are overwhelming, and “obvious” in the mercenary English version of the Iranian-funded daily. Lebanese anti-Hezbollah media is correct in its assessment that al-Akhbar is nothing more than a "propaganda gun" of the terror organization. In his latest article, al-Saadi targets an alleged “U.S. security contractor” and links him to a prominent U.S. Congresswoman known for her efforts in opposition of Iran and a preeminent expert on Hezbollah and the Iranian threat that has become the bête noire of the Tehran-Damascus axis and other Jihadi forces in the region. The "contractor,” James Smith, is CEO of SCG International which, like dozens of U.S. companies, provides analyses and assessments to Government and the private sector on crises around the world. The Hezbollah-funded publication is interested in Smith, not because he is former CIA and a former director of a prominent security company (there are many like him in the US and around the world), but because Smith was investigating the situation in Syria to assess the state of the opposition. Al-Akhbar undertook a “James Bond” mission against Smith to accuse him of providing training and advice to the Libyan rebels against Dictator Gaddafi, precisely a U.S., European, Arab League and U.N. policy. We don't even know if Smith provided the assistance because NATO had provided such support. Nevertheless, there was no story other than al-Saadi’s Hollywoodish "investigation" of a non-story. Al-Akhbar accuses Smith of fomenting support for the Syrian opposition. Al-Saadi claims in a letter to have obtained emails exchanged between Smith and Stratfor, a company that provides strategic intelligence on global business, economic, security and geopolitical affairs. The letter claims that Smith said he had been tasked by a prominent lawmaker, who happens to deal with intelligence analysis, to go to Syria and assess the situation inside Syria, and report back on the Syrian opposition. Again, there is no “beef” in the Al-Akhbar report. Lawmakers do ask private citizens to brief them but meet opposition groups themselves, especially since the U.S. Administration had asked Bashar Assad to step down. In fact, these fact-finding trips, which horrify Hezbollah and Assad, have come very late in the process. If the fact that Mr. Smith’s writing a report on Syria's opposition happens to be one year late, it should be praised because he was attempting to get to the bottom of the Syrian rebels’ identity. Al-Akhbar went on to demonize Rep Sue Myrick who is known for her consistent focus on Iran and Hezbollah threats. This makes sense, because the regimes in Tehran and Damascus see her as a real problem since she leads investigations into the global reach of the Iranian and Hezbollah networks. If the Congresswoman developed an interest in Syria's situation, as Senator John McCain has, she obviously will be a target of Hezbollah propaganda, and so she was. According to Al-Akhbar’s story, she tasked a U.S. consultant to identify the Syrian opposition; therefore she is a danger to the regime. Obviously she and McCain and other lawmakers across the aisle are. Then Hezbollah's media turned against their bête noire in the U.S., Professor Walid Phares. As an advisor to members of Congress, Phares reviews these reports and gives briefings about country conditions, including in Syria. He advises many NGOs as well, including democracy groups opposed to the Syrian regime. Hezbollah has been attacking Phares for a decade, beginning with a statement by Hassan Nasrallah in 2005, and with hit pieces that have run in Al-Akhbar, Al-Manar and Press TV, all Iran-funded. Interestingly Al-Saadi cites an article "accusing" Phares of being on the side of the Lebanese Christians in the 1980s, even though Phares is a Christian from Lebanon and has authored books and articles since 1979. But what discredits Al-Akhbar is the fact that the paper cited a Salon article by the chief Hezbollah propagandist in the U.S. who openly claims he meets with Nasrallah in Lebanon. In an article written by John Hajjar, he exposes As’ad AbuKhalil as the primary Iranian-backed Hezbollah propagandist in America. When we learn that AbuKhalil is an editor at Al-Akhbar, we find out that we’re talking about the same pro-Hezbollah network. Yazan al-Saadi propagates the same propaganda as AbuKhalil. The story as constructed by Al-Saadi needs spice, but it doesn't go anywhere. When deconstructed it exposes the desperate attempts by the pro-Iranian propaganda machine in Beirut and its long arms into the U.S. via cyberspace. This is part of Iran's war on America. According to Hajjar, the U.S. director for the World Council, Al-Akhbar is a direct arm of the Iranian regime and Hezbollah. 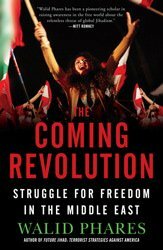 It fires the first shot, particularly since it started its English edition and, in a coordinated manner, these fallacies are picked up by “the organized network of radicals in the US and the West." Mustafa Geha, the head of a liberal Shia movement in Lebanon told us "Al-Akhbar has been part of the spinning machine to kill the U.N. investigation into the Hariri assassination for years. It claims concern about the fate of Muslims while it endorses the terrorists who have invaded Beirut and persecuted both Sunnis and Shia. Now they are trying to protect the Assad regime, which is involved in oppressing Muslims in Syria, by taking on those in the West who are trying to identify the Syrian opposition." In fact, a simple Google search in Arabic of Al-Akhbar will return dozens of dizzying stories directed against the U.S., Sunni Arabs, Lebanese Cedars Revolution, Turkey, Qatar, and many U.S. public figures. Indeed, after the Al-Akhbar article was posted, almost instantly, the far-left (usually pro-Hezbollah) websites reverberated with their own version of the legless story in order to hype it. But the mistake of those who engineered the propaganda strategy was two-fold: First, they launched it from a Hezbollah website, Al-Akhbar. This discredits both writer and story. Second, by picking up the story from a Hezbollah outlet, the U.S.-based outlets have exposed themselves as the online allies of Hezbollah. Now, we know who the bloggers are who are defending Assad's regime and its Iranian and Hezbollah allies and we can clearly see from their archives that they have been blocking U.S. policy to save Syrians, Palestinians and Lebanese murdered by Assad. These are mostly Muslim Arabs that the U.S. could have been working on saving from the regime. Al-Akhbar and those who are propagating the paper’s falsehoods indirectly have blood on their hands. By defending Assad they are accomplices in his crimes. Family Security Matters.org Contributor Ali Abdallah is a liberal Arab writer, specializing in Jihadist movements and democracy activism. Again, the Hezbollah nebulous out of Beirut, this time via al Akhbar tries to wage an offensive against prominent US leaders, experts and consultants, as part of a war by Tehran against US national security. Of course al Akhbar is a puppet of Hezbollah and funded by Iran. So their attacks against members of the US Congress, including Rep. Sue Myrick is normal procedure. They want to strike at the iron lady who exposes Hezbollah's operations in Latin America and inside the US. Attacking Walid Phares one more time is classical. Indeed as Abdallah said, Phares is the "bete noire" of the Jihadi regimes in the region and their allies inside the US, such as CAIR and the Hezbollah propagandists. As a congressional advisor, Phares scares the enemies of America. As an national security advisor to a leading Presidential advisor, Phares is now freaking them out. But the most interesting in this episode is how the Hezbollah operative in al Akhbar English dragged the far left serving the interests of Iran with them into the trap. They attacked Myrick and Phares based on dubious emails hacked from Startfor. Now that it is known that this was a hack the web sites which picked up the piece and re-posted in few hours and days, are the actual militia online of Iran and Hezbollah in the US. So, according to postings, we have now a list of the self described progressives -in reality Jihadi operatives- working for Iran.